In part, much of what makes up a poker player’s journey are the opportunities that are presented to them. For 28-year old Philadelphia-based poker player Thai Ha, being granted big opportunities are something he has been afforded as of late. Not only did he win a coveted Platinum Pass to attend January’s PokerStars No Limit Hold’em Players Championship in the Bahamas but the launch of legalized and regulated online poker in Pennsylvania is seemingly right around the corner. It’s true that even though Ha got to experience the thrill of being in the field of the PSPC, he was unable to secure a cash in the event. But the opportunity alone is one that any player would covet. Just like the opportunity to return to online poker inside the U.S. is one that many professional and recreational players are hoping to have back one day. While no longer a full-time online grinder, there was a time when Ha put in plenty of volume online, including spending a number of years as a pro. Since he began working full time, Ha has not put in the same kind of volume as he did when he was a pro, however, he’s still trying to make an online grind fit into his life. Since the beginning of his own poker journey, Ha has also turned his attention to playing live. In fact, nowadays he considers himself closer to being a live pro with the current state of online poker. He has over $900,000 in total live earnings, including a mammoth first-place victory in the opening event of the 2016 Lucky Hearts Poker Open. It was a $350 buy-in that brought him over $230,000. Today, Ha’s work in performing franchising duties with Mr. Wish, a bubble-tea store he is bringing from Houston to Philadelphia, keeps him incredibly busy. But even with a packed schedule, poker is never too far from his sights. 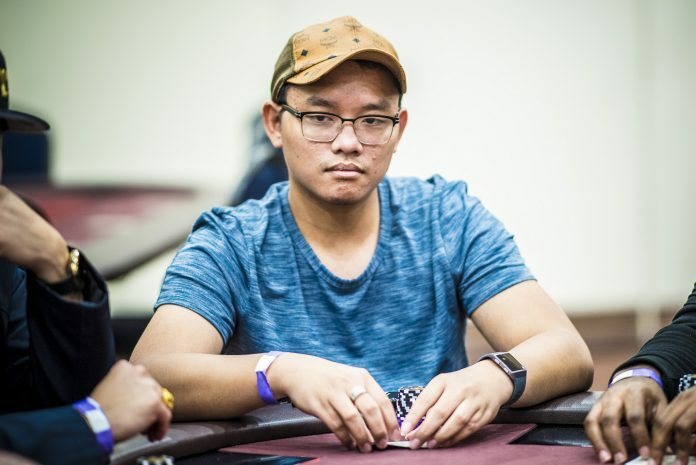 As PA poker goes live, Ha is just one of the many local players that will be diving into the player pool as a vital part of the initial growth stage. As for what Ha hopes to see when he’s able to log on from his Philly home, it’s the same as many poker players across the country.